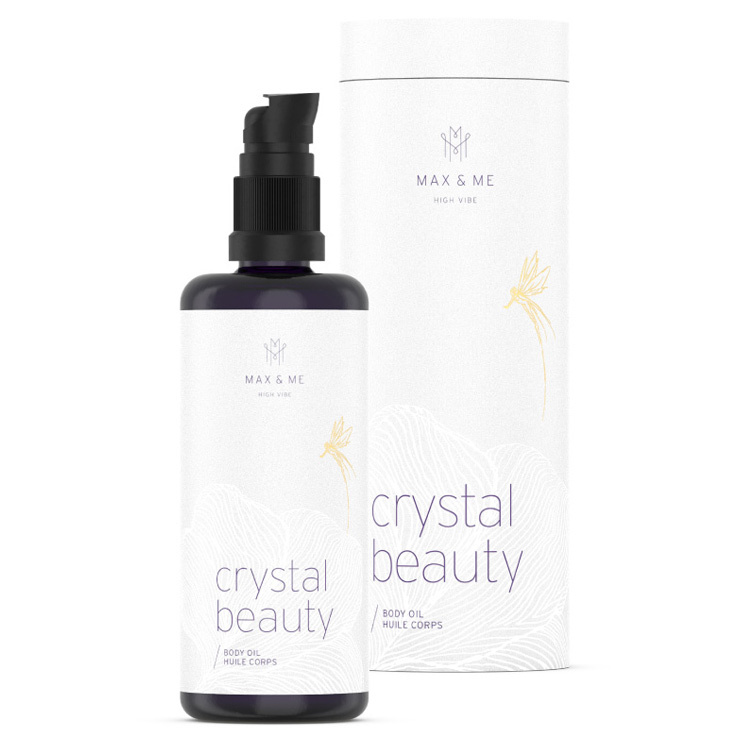 The Crystal Beauty Body Oil blend by Max and Me promotes a feeling of pure, sublime energy. Your skin will feel purified and detoxified, while showing off the clear, radiant appearance of a more intense beauty. 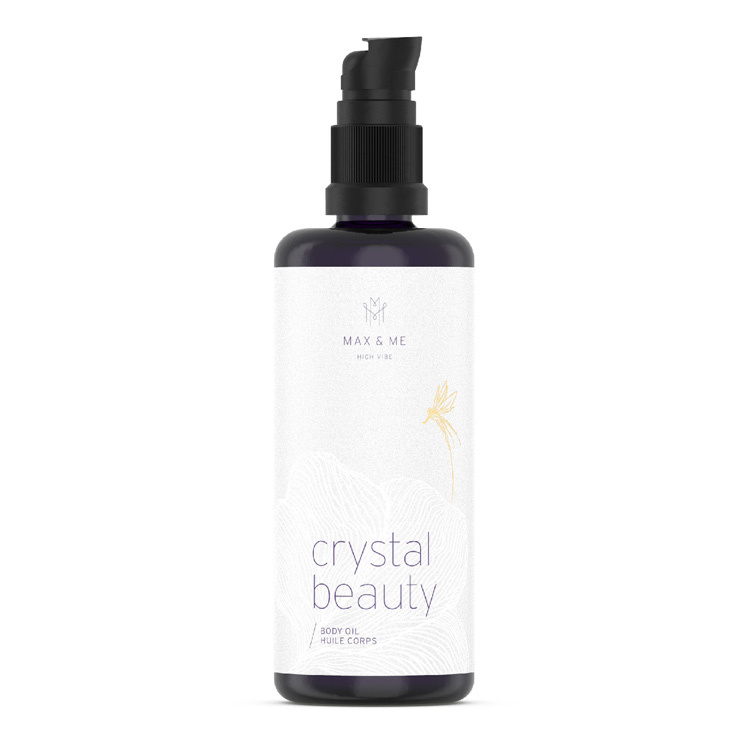 While offering a look of balanced skin, this body oil blend suffuses you with the sensations of high vibrations for a feeling of mind/body balance. 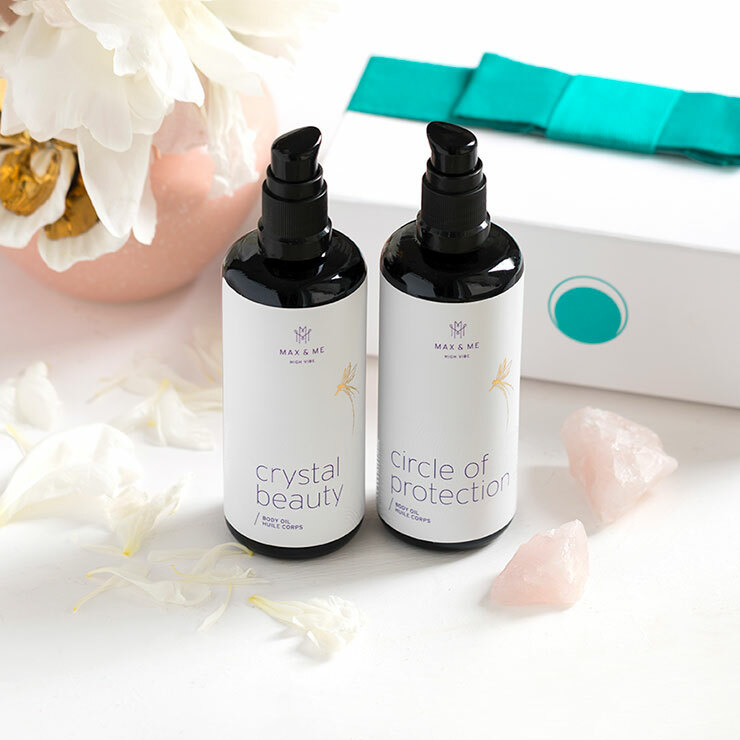 Wild mountain lavender and mountain juniper are wonderfully cleansing, while neroli gives skin a reparative feel, and jasmine and Damask rose work together with a precious blend of beauty oils (argan, marula, cranberry seed) to impart a look of restoration. When your skin and soul need a feeling of tender loving care, warm a few drops of this heavenly oil blend in your palms and inhale deeply. Close your eyes, let go of all your thoughts and connect with the special aroma. Then massage the body oil blend into the moist skin. Take your time, take your space to savour the sweetness of it all, a feeling of immersion into light, a sense of good energy, sensations of beautiful vibrations, the way you feel, the look of natural glow. These are moments of bliss.